When a creature in this lane dies, Grim Champion gains +1/+1. 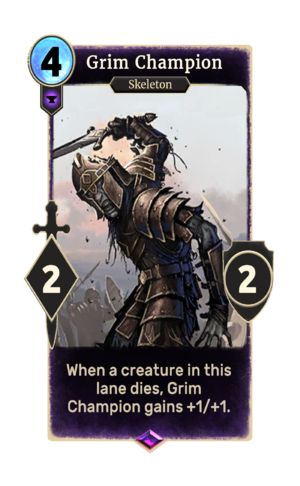 Grim Champion is an epic Endurance creature card. It is part of the Core Set. This card's ability applies the Death's Gift card effect. This page was last modified on 24 September 2018, at 22:50.